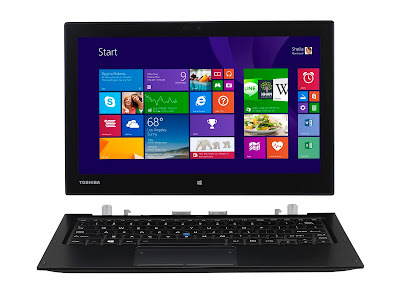 Toshiba has always been the leading technology developer and innovator especially when it comes to laptops. Recently, it has announced the release of its flagship, Enterprise-class laptop in the Philippines. The PORTÉGÉ Z20t is optimized for business users with a variety of productivity and security features plus the powerful new Intel® Core™ M processors, which support both content creation and consumption with ease. With an extra-long battery life of up to 17.4 hours 1, lightweight magnesium chassis and sleek, thin design, the PORTÉGÉ Z20t is prepared for professional life – whether in or out of the office. 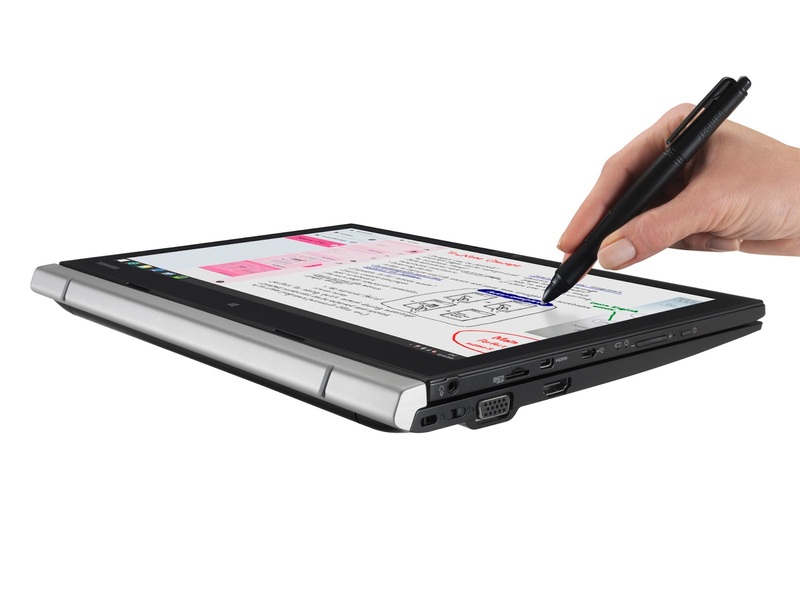 With an optimized form factor and wide range of features for flexible business use, the PORTÉGÉ Z20t is the ultimate companion for professionals. The integrated Wacom digitizer offers superb hand writing recognition so that users can take notes and draw diagrams quickly and clearly in meetings while it can be stored conveniently in a dedicated slot on the tablet to minimize the chances of losing it. Designed as a laptop but equally impressive in tablet mode, the PORTÉGÉ Z20t features a reversible dock enabling the tablet to be stowed backwards allowing use as a presentation device to a larger group of people. When docked the tablet benefits from the longer battery life and extra connectivity options on the keyboard. For convenience and ease of use, the tablet can be detached using one hand via the simple attach mechanism. The PORTÉGÉ Z20t also has a Full HD IPS touchscreen display enabling vibrant, clear detail with wide viewing angles in case multiple users want to view the content on screen.The display’s anti-glare feature is perfect for the business user by reducing reflections to allow for work under office lights or even outside. Functionality and productivity are further enhanced by the inclusion of a spill resistant backlit keyboard for working in dimly lit environments with an improved key design for easy and comfortable typing.Additionally the integrated Accupoint provides an alternative to the large ClickPad for increased accuracy. When used as a laptop, the battery life is up to an impressive 17.4 hours by combining the charge in both the tablet and keyboard – ideal for use on long haul flights or negates the need to re-charge at the end of every day. If used as a tablet, the battery life will provide a full working day’s use of up to 8 hours. Weighing from just 730g and measuring only 8.8mm thin in tablet mode or from 1.51kg in laptop mode, the PORTÉGÉ Z20t is also incredibly portable given the computing performance included. The powerful PORTÉGÉ Z20t features the Intel® Core™ M processors which enables the optimal combination of battery life and business class performance in a single device.With the inclusion of these processors and Toshiba’s engineering, the PORTÉGÉ Z20t is housed in a fanless chassis with a premium, black finish that operates silently. The PORTÉGÉ Z20t includes an SSD of up to 256GB and up to 8GB of LPDDR3 memory for superb responsiveness and the ability to run multiple programs with ease. Together with Intel® HD graphics, business users will be able to compute faster making it an exciting yet practical model for use in the office or on the move. The PORTÉGÉ Z20t provides extensive options to connect to all the peripherals a business user might need regardless of how it is being used. In tablet mode, a microHDMI® port, micro USB port and microSD slot are included for connecting to additional screens and fast data transfers. With the keyboard attached, users can make the most of additional connectivity and no need for adapters with a selection of full-size ports including RGB, HDMI®, GBit LAN and 2x USB 3.0 ports. The PORTÉGÉ Z20t also allows for stable internet use on the move with optional 3G/4G module3 and reliable, fast Wi-Fi® access across a range of networks with Wi-Fi® ac/a/b/g/n. 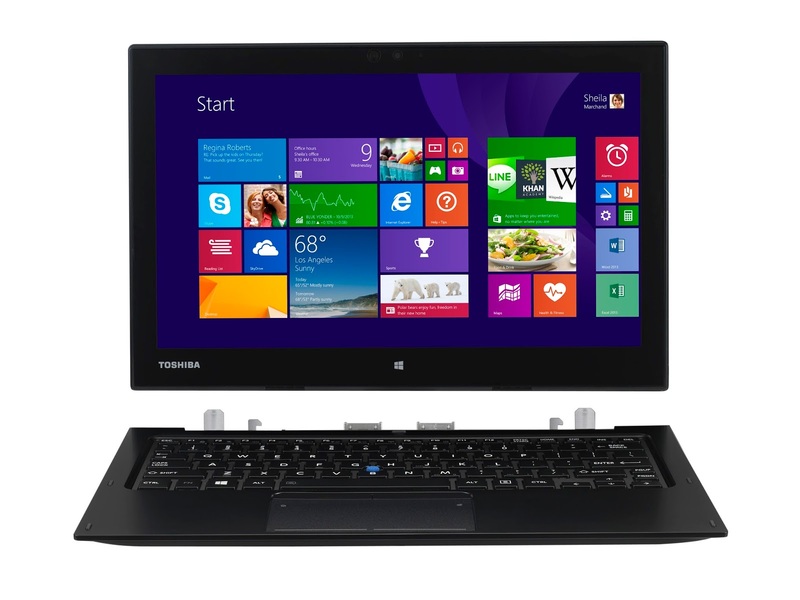 All Toshiba PCs and Tablets are backed by Toshiba’s extensive service and support. The new PORTÉGÉ Z20t series comes standard with 3-year International Limited Warranty (parts & labor). 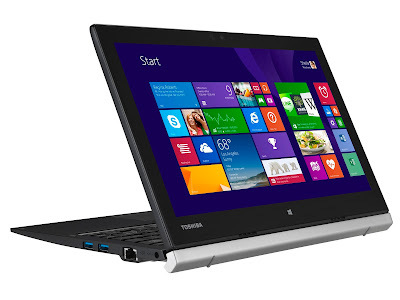 Toshiba offers several options for expanding the service plan on your notebook. Our SelectServ Program has been designed to allow you to customize your notebook’s warranty coverage, depending on your budget and needs. Please contact or visit your nearest local Authorized Service Provider to get more information.Connect with Toshiba on Facebook at www.facebook.com/ToshibaNotebookPc on Twitter at www.twitter.com/ToshibaNotebook and on YouTube at youtube.com/user/ToshibaNotebookPc.